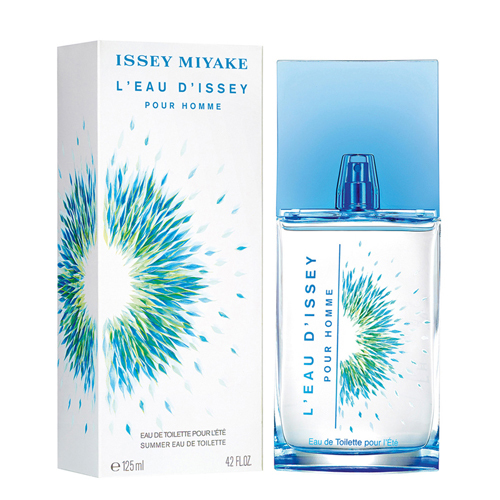 Issey Miyake L'Eau D'Issey Pour Homme Summer 2016 for the summer season. Issey Miyake L'Eau D'Issey Pour Homme Summer 2016 125ml. EDT - The chic brand once again produces a limited collection of fragrances for the summer season. The novelties are presented in the collection for HIM and for HER and are vividly expressed by a fresh and invigorating spirit framed by the exotic sound of tropical juicy and sweet fruits. You are invited by the scent of Issey Miyakee Le Dissei Pour Homme Summer 2016 on a fascinating journey through the Land of the Rising Sun, in one of the most attractive of its seasons - summer. Japanese summer time is not comparable to anything else. This is a stuffy bouquet of all kinds of garden flowers and sudden waves, refreshing the mind and body. It is at this time that traditional urban festivals are held, when pretty girls dress in colorful yukata and paint them under a dark sky, illuminated by the shining fireworks. The initial note: Grapefruit, Lychee. Heart note: Guava, passion fruit, Pitahaya. The final note: Vanilla, Wood notes. A light turquoise bottle with a pattern from Michelle McKinney hides a piquant mixture of kiwi, coriander, nutmeg, grapefruit and pineapple on a grassy woody base made of cypress and vetiver.